Uniden R3 Radar Detector is a brand new flagship of Uniden which promises to deliver stunning performance at a relatively affordable price. 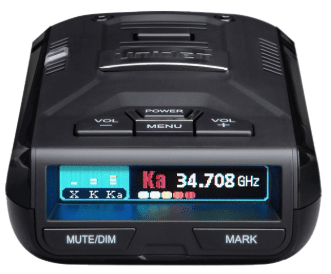 Many of you will ask yourself what is the best radar detector for the price and this is a pretty tough question to answer. It depends on the features that the product has and if you really need the given set of features. One is sure- Uniden R3 is one of the best radar detectors at the moment. This radar detector was released last year, spawning Uniden R1 alongside it. Both of these are worthy companions for your car and they quickly took the market by storm by providing some amazing performance and still costing a little less than the competition. 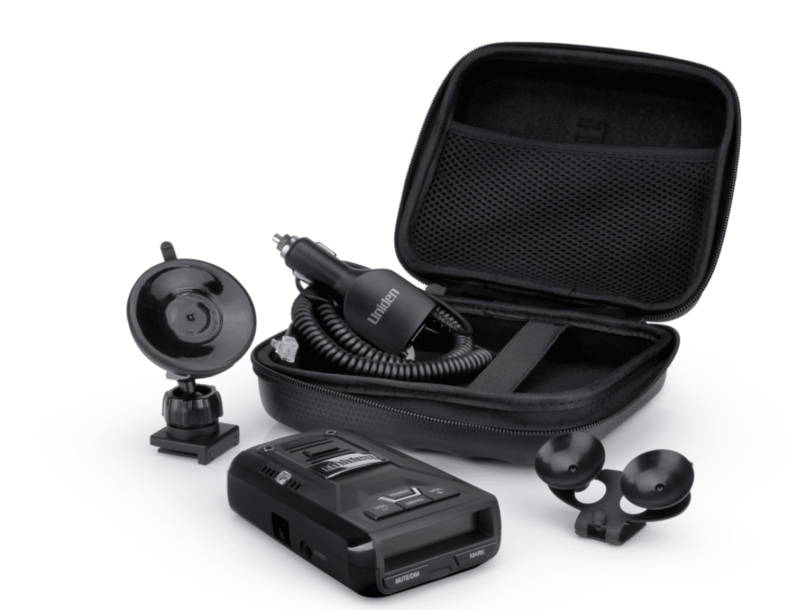 But, as this review’s name says, we are going to examine Uniden R3 Radar Detector. To avoid wasting your time, I suggest we jump to Uniden R3 review right away. It’s time to delve deeper into Uniden R3’s features and the only way to do that is to mount this beauty on the windshield. Before we mount it, though, we need to take a look at its polished design. Uniden gave us a pretty generous amount of physical buttons on the upper side and we also have some on the front side, underneath the OLED display. I’m personally not a fan of a huge number of buttons scattered all around, but I can easily get over it. Design-wise, it’s pretty evident that we are dealing with a professional radar detector. Its black color will seem bland to some, but I’m perfectly fine with it. Mounting this beauty was never this fun, but all that’s sweet is also short. I used the suction cup bracket to get it onto my windshield so I can admire its design right away. Now, we are all ready to begin our testing, aren’t we? The first and the most important thing to mention here is that R3 comes with the dual antennas. Yeah, it’s pretty common. However, we have a 360-degree Digital Signal Processor which greatly enhances the radar detection capabilities as well as the accuracy. Basically, it ensures that you are protected from every side. During my enjoyable afternoon haul, I was picking up various signals from my environment so I can say that it pretty much works. When it comes to distant signals, I was quite surprised with the performance. It easily beats my old RedLine Radar Detector and costs twice less than this old granddaddy. In my old cabinet, I also found several other radar detectors, compared them to this one, and I can confidently say that this is a superior radar detector when it comes to distance. If you drive 200 mph, you can now detect cops and start slowing down. But, please don’t do that, for your own safety! Detecting a signal was never this easy, but also enjoyable. With the Auto-mute feature, I was able to stop this annoying beeping sound when I was driving and reduce it to the minimum. As R3 uses GPS with Red Light camera, it can now remember the location you’ve visited and ignored the false signals, which is a very useful feature. I mean, GPS functionality at this price? That’s a blasphemy, my friends! But, not everything is bright. From specs, I’ve realized that GPS isn’t the only measure used to filter the signals. BSM filtering (Blind Spot Monitoring) is the other system that’s used here and I’m not quite satisfied with it. Its sensitivity is tremendous, picking up the signals wherever I go, which quickly annoyed the heck out of me. I guess I’ll have to update the firmware to rectify this issue. If you live in the USA, you probably know that radar detectors aren’t allowed in Washington D.C. and Virginia. Thanks to its stealthy design. Uniden R3 is undetectable by the other radar detectors, making it a sneaky little (and very useful) pest. I mean, it can be detected if the police officer stands directly in front of your car and holds his Spectre. When driving by, even Interpol can’t detect it! Finally, it’s time to tell more about the OLED display on this device. I simply love OLED displays and this one is amazing, although we don’t have that many colors here. When it comes to the viewing angles and brightness, oh boy, this display simply rocks, especially when we consider how easy it is to set up Uniden R3. Everything is so vivid, comprehensive and really smooth. You’ll need no more than five minutes to put this beauty into work. 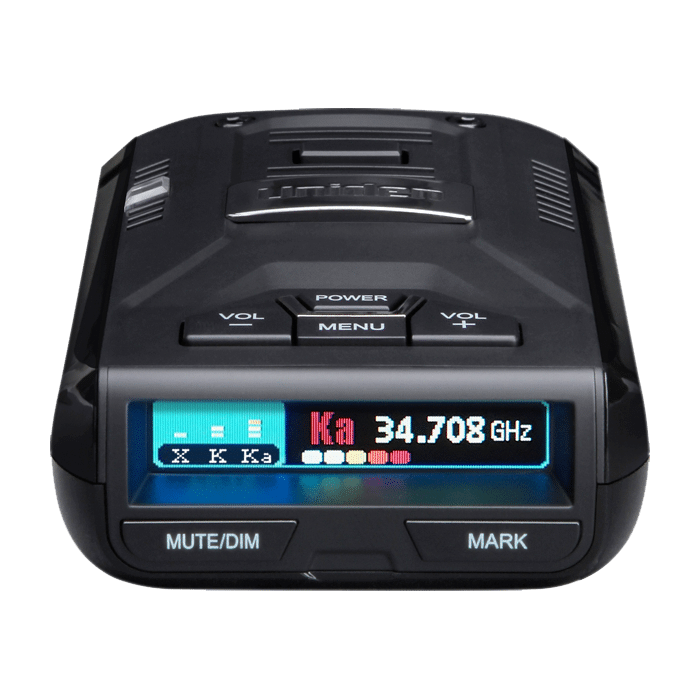 Uniden R3 is a relatively affordable radar detector that costs a little less than its competition, yet can wipe the floor with most of the radar detectors. It has a great price-to-performance ratio. The OLED display is simply a much-needed addition here and it’s beautiful. You’ll have a great time using it, especially in low-light conditions. With its Automute feature, R3 is great in blocking away the annoying and false alarms. You also won’t have to listen to a constant beeping sound. Uniden R3 has great GPS features which allow for remembering the locations you’ve already been to. This way, it prevents filtering the false signals. 360-degree DSP is here to provide a deadly accuracy and reliability when it comes to signal detection. Completely undetectable by Spectre Elite detectors. The signal filtering didn’t work quite well on some occasions. There are some tiny bugs here and there, but the Firmware update should fix the problem. Its OLED display could be a little bigger. Sure, it has some issues that can be rectified by updating the firmware, which is very easy to do on this device. 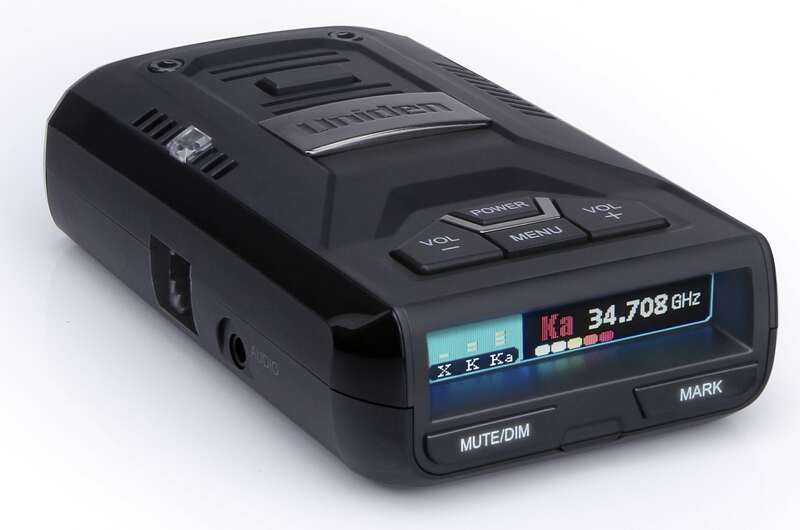 With numerous features like dual antennas, 360-degree DSP, OLED display, GPS availability and much more, I think that Uniden R3 Radar Detector is worth your cash. If you need a reliable and steady signal detector, Uniden R3 Detector might be your best bet at this price. Since it’s released last year, it will have a full technical support and fresh new updates, making it even better through time. So, what consumers should buy this product? The answer to this question is simple- every car owner! You simply can’t get a better deal at this price, considering its performance and features. Uniden R3 is a steal deal, oh yeah!